Hi there, dreamers! Now that Labor Day weekend is behind us, I’m ready to charge full speed ahead into fall. I mean, aren’t you? Cozy knit sweaters, booties, autumn candles, pumpkin spiced everything, apples and crisp (but not frigid) temperatures. Those are just a few of the many many things that makes autumn my favorite season of the year, hands down. Literally. 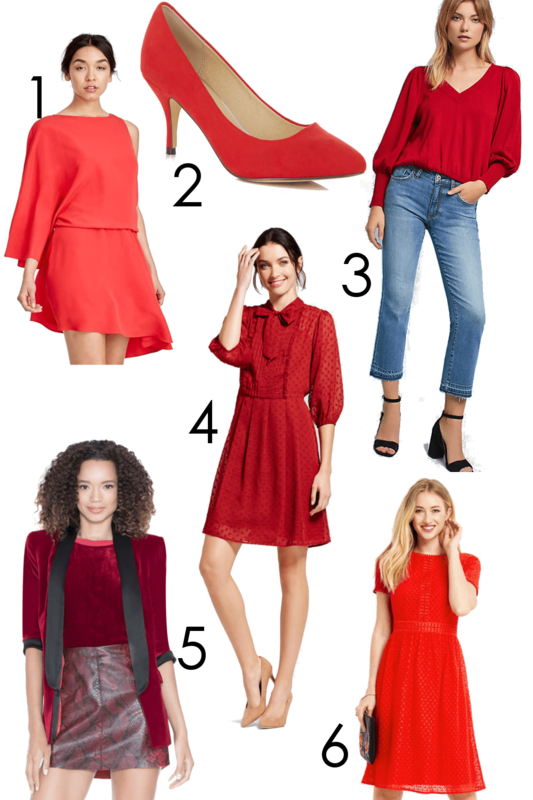 Red, everything. 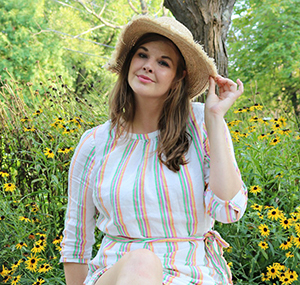 Skirts, dresses, jackets, booties, blouses, tunics, sweaters – you name it. 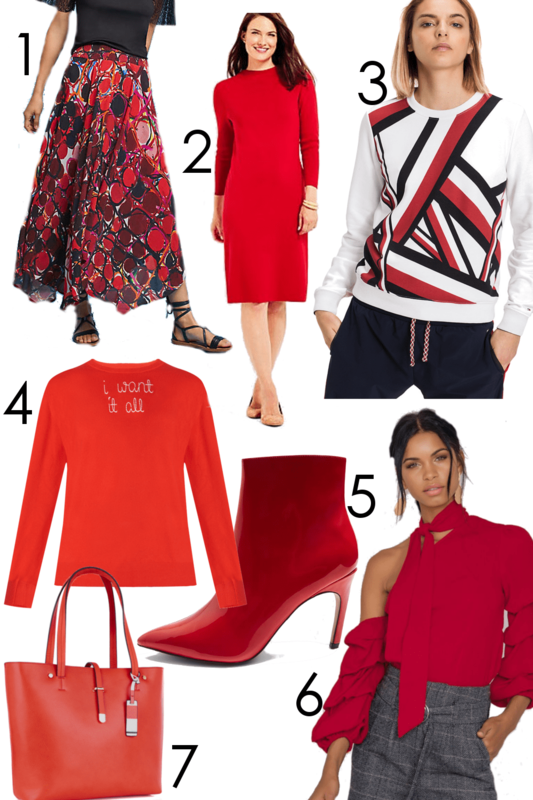 While mustard is making a comeback on the fashion scene this season, I’m taking a bit of a different approach and going all in on red. When I think back to last fall, I wore LOTS of blacks and browns. I guess it was a reflection of the time but these days, I’m in a much more jolly mood and red is the quintessential color for making a statement. It’s a color that’s bold and draws immediate attention, but can be used to accent more modest neutrals here and there if you’re not feeling as spicy. 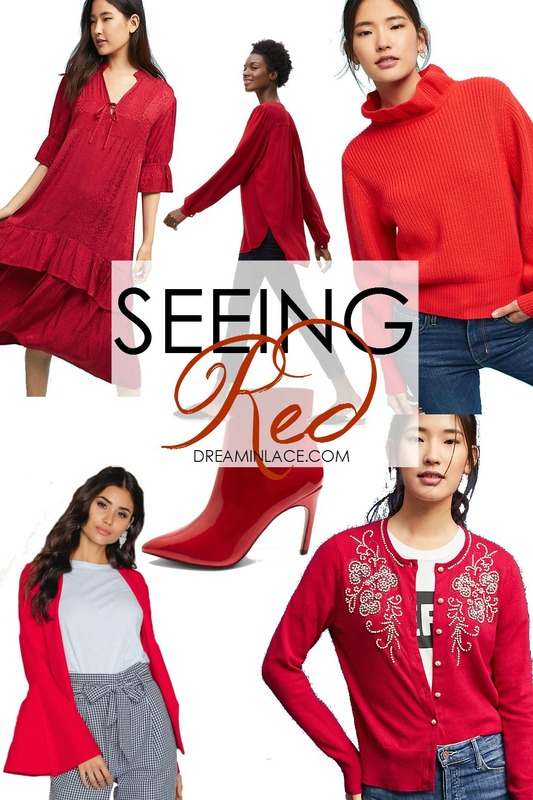 No doubt, there’s truly A LOT to love when it comes to fall fashion no matter what color palette you’re working with – but today I want to dive into RED and bring you along with me. 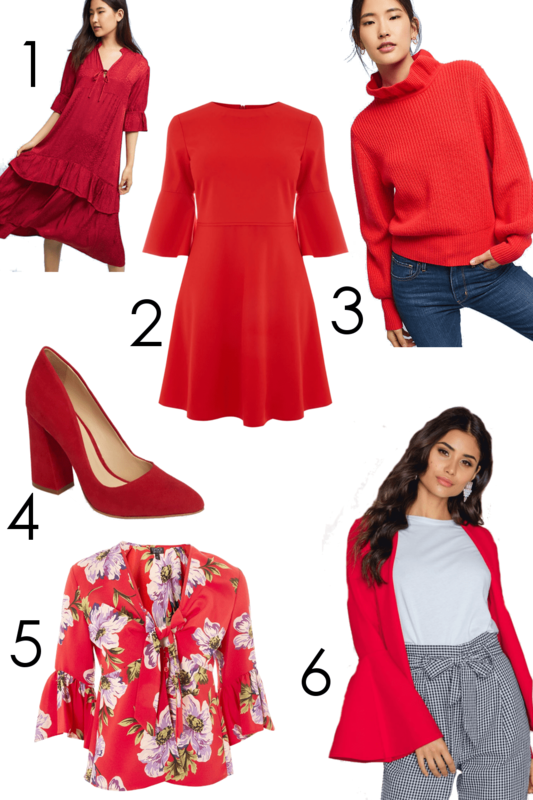 While perusing all the red fall style looks across the web, I was impressed with just how diverse the options are. A vast array of styles, textures and silhouettes mean there’s literally something for everyone – at every budget. 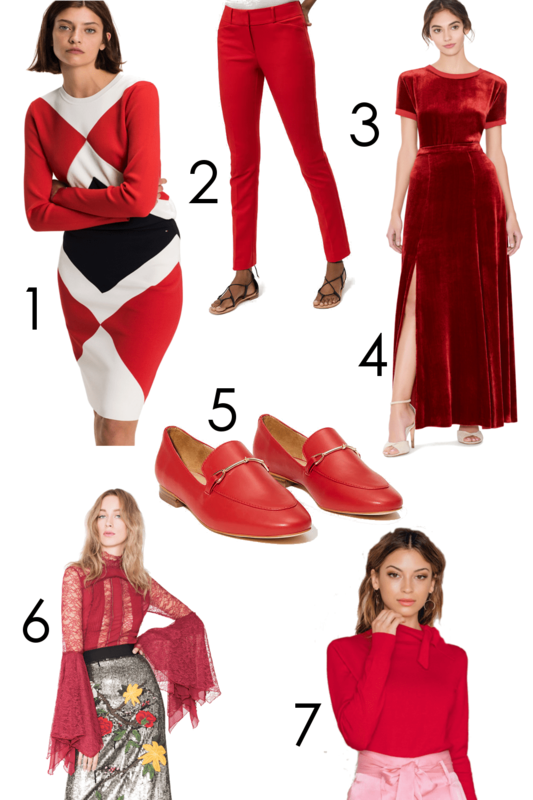 Alice + Olivia‘s luxurious red velvet is met with Tommy Hilfiger‘s color-blocking and Anthropologie‘s signature ladylike approach, with attention on all the fine details like pearl embroidery. 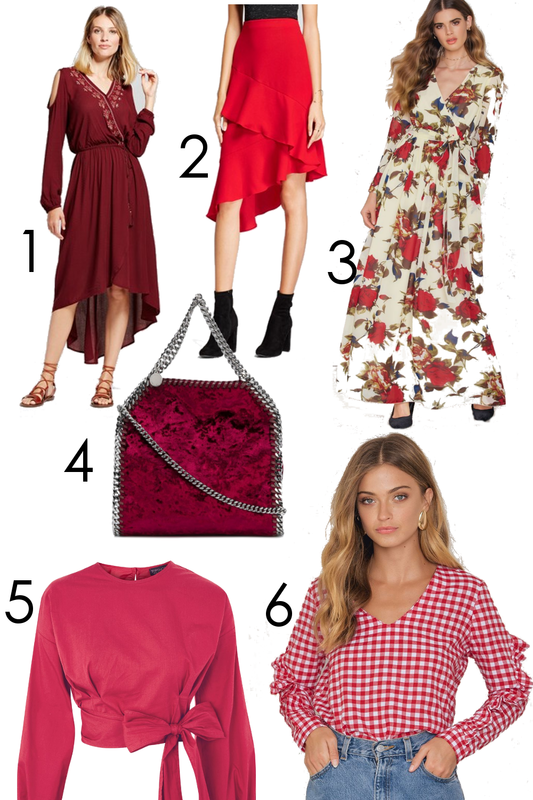 Target even throws their hat in the ring with an asymmetrical silk skirt I’m seriously considering snagging for the holiday season and a chic Bohemian maxi dress. 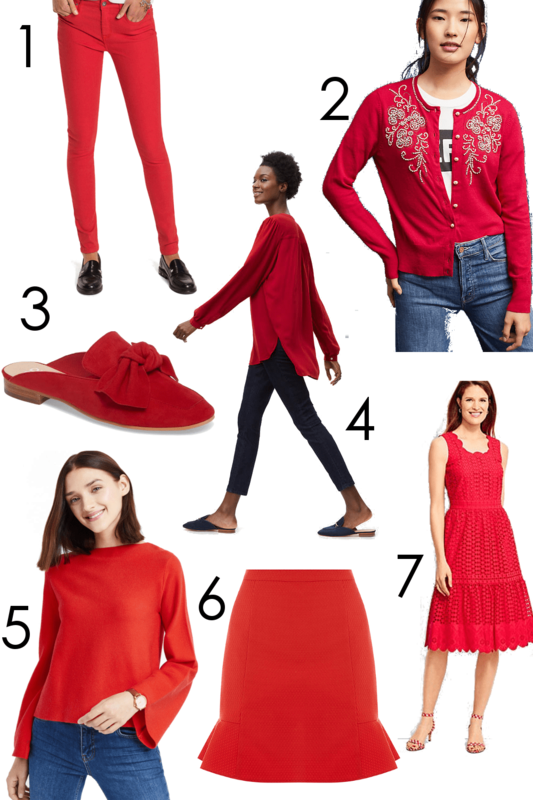 Join me for a sartorial display of all my red fall style picks…let’s go! Share this Post with Your Best Style Buddy! Revisit the Fall 2017 Runways for More Style Inspo!